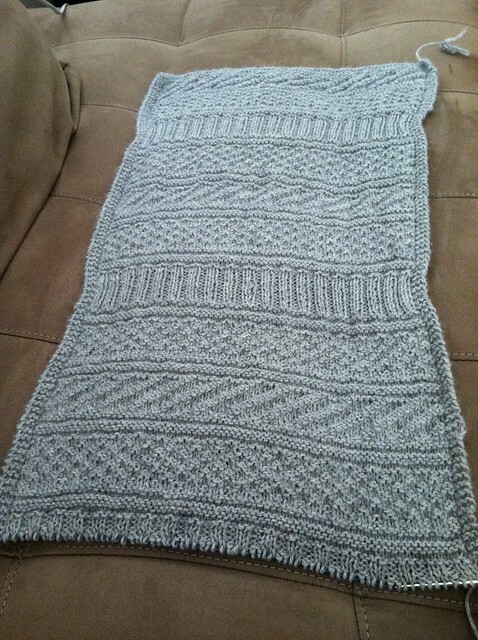 Thanks to this weekend's continued illness, I've been flying along on my Guernsey Wrap with relative speed. Although it's nice to see progress on a WIP, it's disappointing to miss out on surprisingly beautiful weather... and from the looks of my husband, who gifted me with this cough/sore throat/fever, it's not going away soon. If you're familiar with this pattern, the photo above may seem distorted, or the project may look like the gauge is WAY off... That's because I nearly doubled the amount of stitches in the pattern! 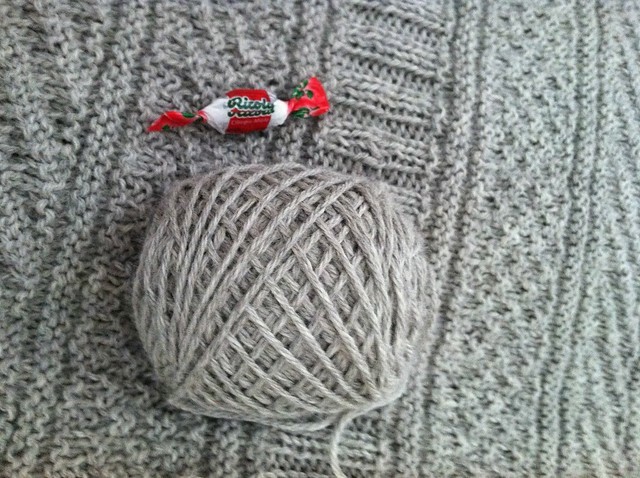 I wanted a super wide wrap, something I can possibly convert into a poncho, so we'll see how that turns out! Looks like I'll be making an emergency trip to the yarn store this afternoon! 3 hour flights and lots of time inside will definitely result in increased yarn consumption!